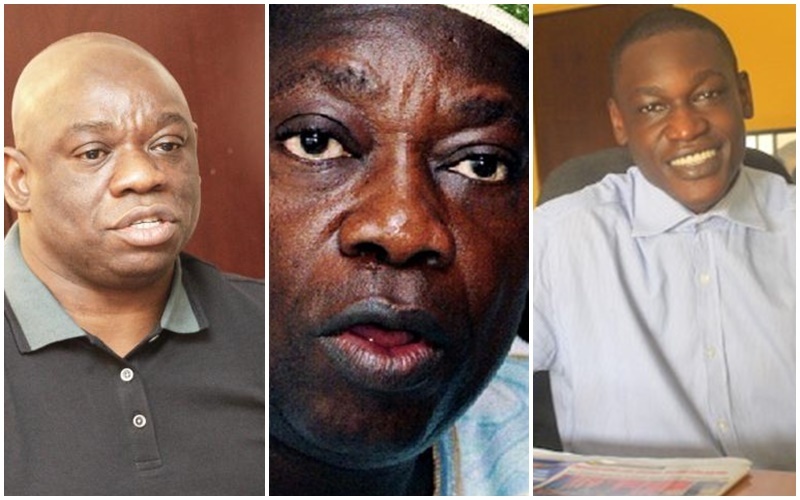 The youngest son of Alhaja Kudirat Abiola, Abdulmumuni, who is acting on behalf of his late father Bashorun MKO Abiola’s 40 children, has called on his brothers Kola, Deji and Agboola Abiola to stop playing god with their father’s properties. In a statement issued on Friday on behalf of his brothers and sisters totalling 40, Abdulmumuni said his life is in danger because of his efforts to revive the abandoned projects, investments, and properties of his father, the acclaimed winner of the June 12, 1993, presidential election who died in the custody of the Federal Government during Gen. Abdulsalami Abubakar’s military regime in 1998. According to the statement, “I want my brothers, Kola, Deji, and Agboola to stop playing god with our father’s properties, abandoned projects, and investments. I, my brothers and sisters totalling 40 children of Abiola are not fighting with them. We don’t have a bone to pick with them. But we need to step out of the past and of our father’s shadow. Kola, Deji, and Agboola have been peddling lies in the media about my efforts to bring about changes to the dwindling fortunes of the Abiola family. “I am ashamed just like my other brothers and sister to see that after MKO Abiola’s death, many of his legacies appear to be in shambles. No, it shouldn’t be like that. That is not what MKO Abiola stood for while he was alive. I want the good people of Nigeria to prevail on Kola and his cohorts to stop using the police to harass me or those who are working with me to restore the lost glory of the Abiola family. “Let me cite an example: Recently, four men were allegedly arrested and arraigned before a magistrate’s court for breaking into MKO’s bookshop at Oshodi. They were accused of stealing equipment and other materials valued at N1 billion. That is a farce. Deliberately, Kola and Deji ensured that my name was not mentioned in the newspaper that carried the news report. “Every effort I have been making to renovate my father’s properties is not self-driven. It is for all my siblings and for the name of Chief MKO Abiola not to be dragged through the mud. Why should some people be sending thugs and miscreants after me and those working with me to renovate MKO Abiola’s properties? Why should that be? Do we have to wash our dirty linen in the public? Why should only a select few of Abiola’s children sit on our father’s properties? I am not even asking them to give me and my other siblings a share of the money-spinning companies of my father that they sit on. “Our humble request is that they should allow me and my other siblings who are interested in renovating Abiola’s derelict properties. They should allow us to revive MKO Abiola’s abandoned projects. I have been painstakingly patient for 18 years. I have watched with long-suffering and regret how few of my siblings have arrogated to themselves what belonged to all of us. MKO Abiola’s properties don’t belong to Kola, Deji and cohorts alone. They belong to all his children. We have been put through enough ignominy by Kola. Enough is enough.